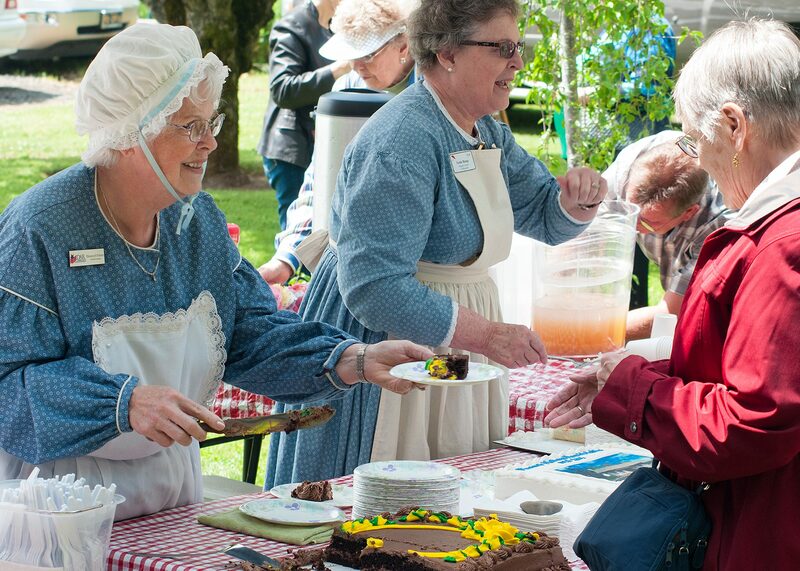 ODAR members serve refreshments at the ribbon cutting ceremony. 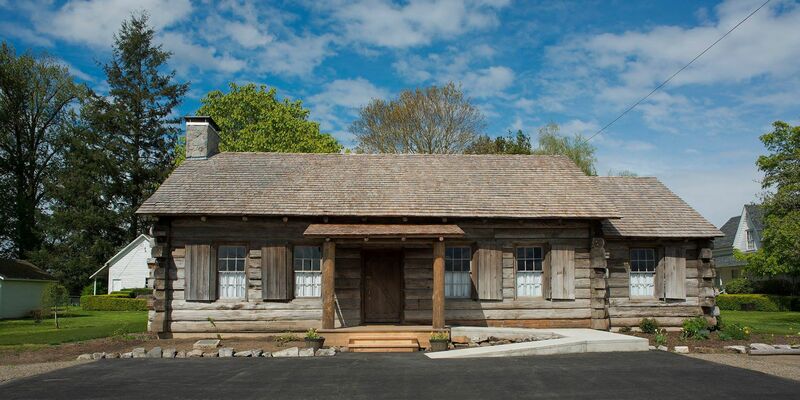 The Arciform team was thrilled to celebrate the completed reconstruction of the Pioneer Mothers Cabin with a formal ribbon cutting ceremony Sunday March 17th. 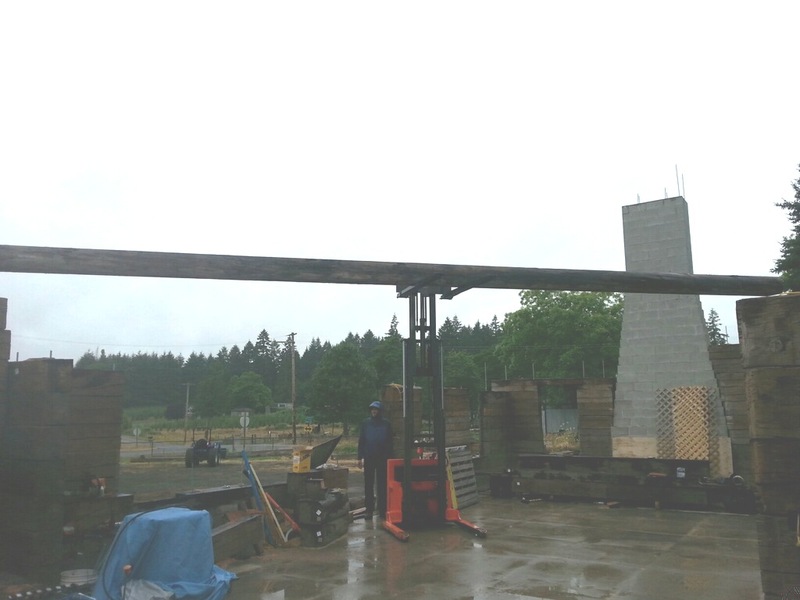 The event marked the end of years of planning, fundraising and worry for the members of the ODAR (Oregon Daughters of the American Revolution) after watching their historic monument slowly slip into the Willamette River. Now relocated to higher ground at the Newell House Museum, the cabin is once again open and ready to educate and entertain! The Pioneer Mothers Memorial Cabin finally completed at it’s new location. Although the building now stands proud with a structurally sound chimney and wall bracing, as well new radiant floor heat for comfort, this final celebration was many years coming. Arciform was fist contacted in the fall of 2013, but thoughts of moving the structure had been floating around for over 15 years. Listing it on Restore Oregon’s 2013 Endangered Places brought much needed attention to the cause and when aided by grants and the tremendous efforts and generosity of volunteers and subcontractors, funding for the project was finally made possible. Arciform team members prepare to reinstall one of the larger logs at the new site. 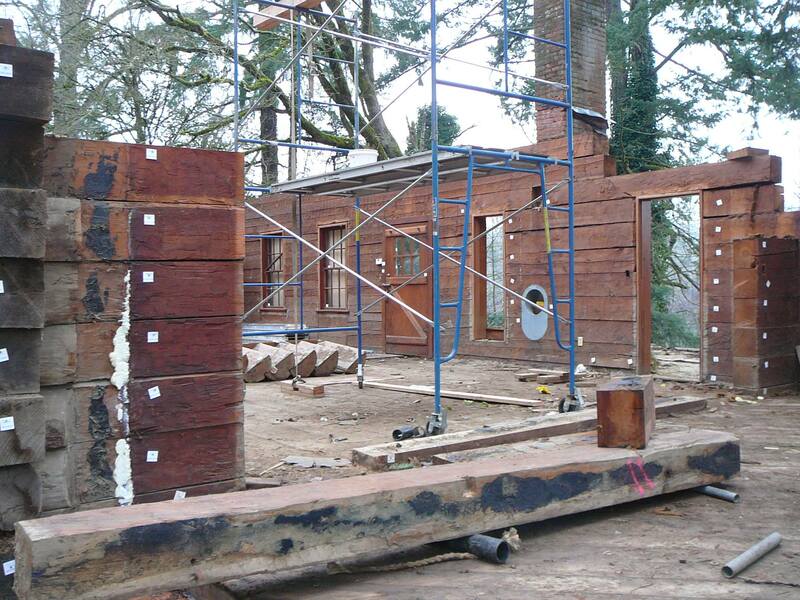 With all the architectural elements and individual logs cataloged and identified on a set of plans, the cabin was finally ready to be carefully dismantled piece by piece and stored at it’s new home at the Newell House Museum. A fresh concrete slab was poured over a network of tubes for hydronic radiant floor heat and a new reinforced cinder block chimney with firebox to meet modern safety codes was installed. After another bout of fundraising, every piece from window jamb and rafter to the forty foot logs spanning nearly the entire width of the cabin were reinstalled. Halfway through the deconstruction process, small white tabs indicate each log’s proper location. Although the building’s original location perched on the edge of the Willamette River will most certainly be missed for it’s historical value and aesthetics, the ODAR members are thrilled to have this piece of history out of harms way for upcoming generations to enjoy. For more information and photographs of the construction process, check out the Pioneer Mothers Memorial Cabin’s Facebook page. If you have a historic building in need of relocation or simply repair please visit our website or Versatile Wood Products for all your historically accurate window, door, millwork and cabinetry needs.